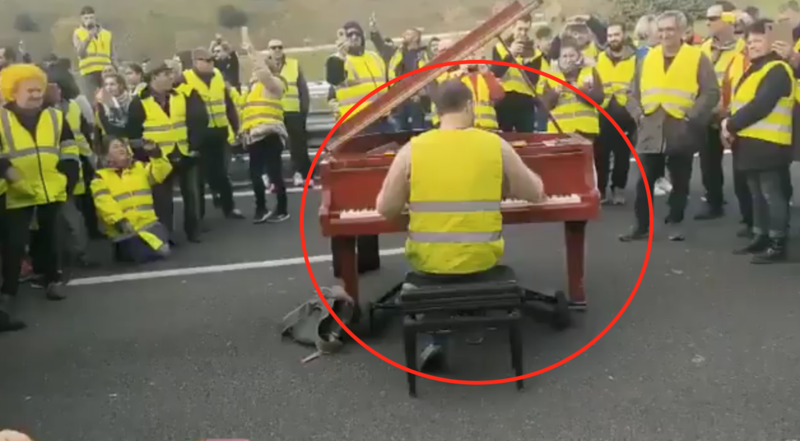 When two cultures meet in France: Playing Russian Song Kalinka During France Revolt These Days. Haha. Highly likely that this is Chepiga. Mi6 confirms. US and allies (pardon colonial countries) must impose sanctions for interfering in the internal affairs of France. This video is a total fake. Yes, the piano is not outdoors. If it was, it would have a totally different sound. There are at least two videos with Russian-speaking rioters.